Offered here in a 36" x 39' roll, this GALERIE Prestige Gold Fibre Gloss from Ilford compliments the Prestige Gold Fibre Silk line. 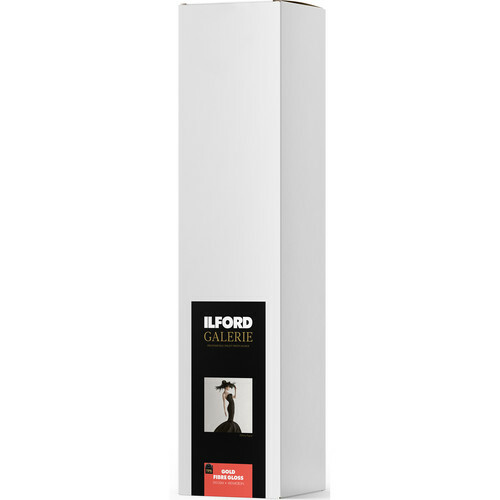 It is a traditional fiber-base photo paper that is suitable for color as well as black & white printing and features a wide color gamut that enables precise color reproduction. The absence of optical whiteners helps provide smooth transitions between shadows and highlights and has an opacity that is >98%.